Vet Alliance and VetStrategy are partnering in support of independent veterinary practice in Canada. Canada’s largest organized affiliate veterinary buyer’s group grows to more than 600 members. 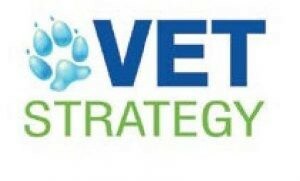 Toronto, December 7, 2015 – Today VetStrategy and Vet Alliance announced that they are partnering, bringing together more than 600 Canadian veterinary hospitals under the name Vet Alliance. VetStrategy hospitals will join the Vet Alliance group effective immediately, and existing Vet Alliance members will continue to enjoy all the privileges of membership, as well as the additional purchasing power and resources which this new partnership makes possible. Benefits will continue to include best-in-class continuing education opportunities with more locations now possible, and a range of opt-in training programs to be developed by VetStrategy for independently-owned hospitals on such subjects as accounting, HR, staff training protocols, finance, business analysis, marketing and others. The new organization will be headed by Dr. Lesley Steele, founder, co-owner, and CEO of Vet Alliance, who will continue in her role and remain responsible for the vision and the day-to-day running of the organization. Dr. Steele built Vet Alliance into Canada’s largest organized affiliate veterinary buyer’s group. Kim Irvine will continue as Vet Alliance chief operating officer, and remains responsible for the coordination of all Continuing education programs held across the country. Orin Litman, founder and CEO of VetStrategy will become Chairman and strategic advisor to Vet Alliance. He successfully built VetStrategy over the past 10 years, expanding the company to 35 hospitals, and in recent years has shifted VetStrategy’s ownership model to embrace independent ownership. In 2015, Litman was recognized as a finalist in Ernst & Young’s annual Entrepreneur of the Year competition. Vet Alliance and VetStrategy will be talking to members in the first half of 2016 to understand their priorities for training and tools, and will move quickly to develop a roadmap for these priority items.